The innovative ship will also feature an all-new British pop music entertainment experience, The Cavern Club, bringing the legendary Liverpool venue where the Beatles performed to life at sea. Broadway sensation Burn The Floor, which has received rave reviews on Norwegian Breakaway and Norwegian Getaway, will bring the sizzle and passion of ballroom dancing to Norwegian Epic with an all new and exciting show specifically designed for European guests beginning on her transatlantic voyage, April 19, 2015. “Ballroom Blitz,” featuring 14 dancers, a live band and two singers, is an ultimate high-voltage theatrical dance experience that explodes with jaw-dropping choreography, heart-pounding music and breath-taking moves. 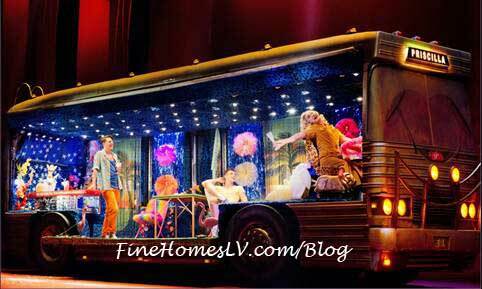 Based on the Oscar-winning movie, Priscilla Queen Of The Desert - The Musical is the heart-warming, uplifting comedy adventure of three friends who hop aboard a battered old bus searching for love and friendship and end up finding more than they could have ever dreamed of discovering. The Tony Award winning musical features a dazzling array of over 500 award-winning costumes, 200 extraordinary head-dresses and a hit parade of dance floor favorites, including “It’s Raining Men,” “I Will Survive,” and “Girls Just Wanna Have Fun.” The show will open on the ship’s October 18, 2015 voyage.